Hitman 2 is a gigantic game – especially if you’ve imported all of the content from its outstanding predecessor. 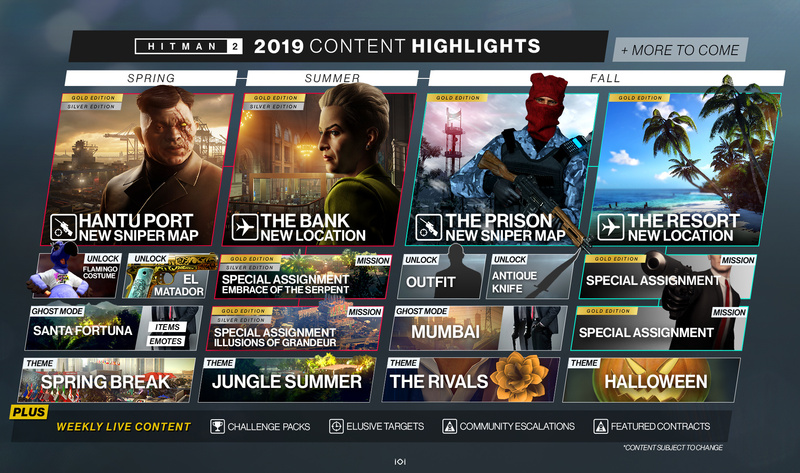 But developer IO Interactive has committed to a service-like update schedule for the stealth action sequel, and in a new blog post it’s outlined the roadmap for the remainder of this year. Much of the content is available for owners of the Silver Edition, though you will need the Gold Edition for access to everything. And what treats the Danish outfit has in store! In addition to new themes, assignments, and weapons there’ll be a bunch of new locations – including two brand new stages named The Bank and The Resort. These will come with the usual array of challenges and unlocks, which you’ll be able to use across the rest of the game. A new sniper map named The Prison will round out the generous offering, while Ghost Mode will be added to a couple of new levels. All rather exciting stuff, then. 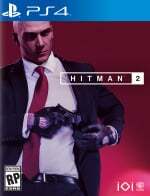 Are you still playing Hitman 2? Which of the new content drops are you most looking forward to? Commit the perfect hit in the comments section below. Glad I bought this game! Woah, I didn't realise they were this committed to new content. Props to them, they delivered a full game on release and now they're making it even more jam-packed with content. I need to return to it. I got distracted by all the many other games that have arrived. It is one of my favorite series.